Romney shows grace and class, but was he being played? I’m wondering if Donald Trump was just toying with Mitt Romney to get back at him for standing against him. I wasn’t a fan of his when he ran for president. He was trying to be all things to all people, and even once called himself a progressive when he ran for governor of Massachusetts and contributed to Planned Parenthood. He twisted himself into a pretzel trying to appeal to the far right during the primaries and then tried to walk it back. He doesn’t have the gift of lying that Trump has. If you look at the comments on his gracious Facebook post you’ll see that many of the comenters are as suspicious as I am about how he was treated. And it certainly would be consistent with Trump’s behavior to to stick it to a rival. If you’re going to have a Republican administration, you could do a lot worse than Mitt Romney as Secretary of State. In fact, that’s just what Trump did. 6 responses to Romney shows grace and class, but was he being played? I think Mitt and the rest of them were all played from the start. It’s always been Tillerson. That’s a make-or-break part of the deal. No Tillerson, no Arctic Sea oil for Vladdie, and then it would have all been for nothing. 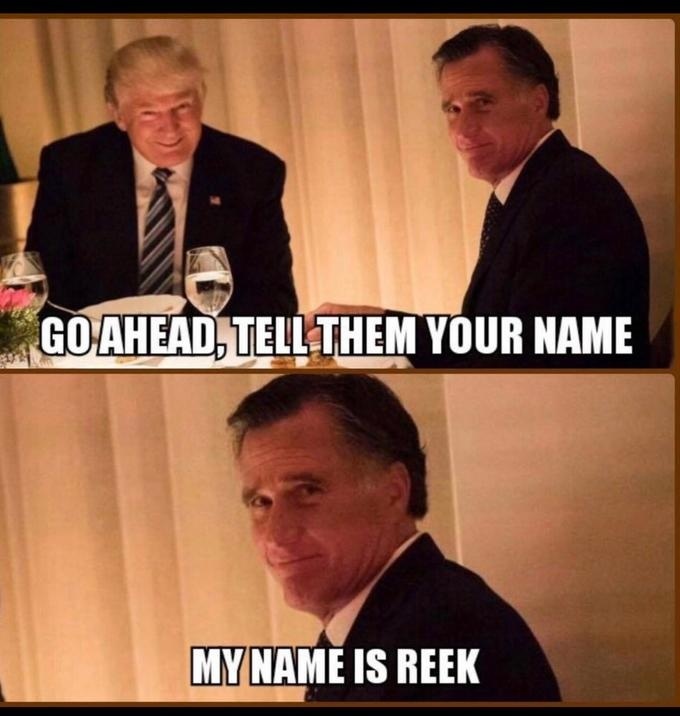 Yes, Romney, got played. trump, brought him in to kiss the ring. A little honesty and courage would have been better than bowing and scraping. It takes more than presidential hair to be president. Gerrymandering’s the answer.